The Electromagnetic Compatibility Group of the university UPC BarcelonaTech performed measures on Mecalux products with the objective of giving technical support to the final verification report. 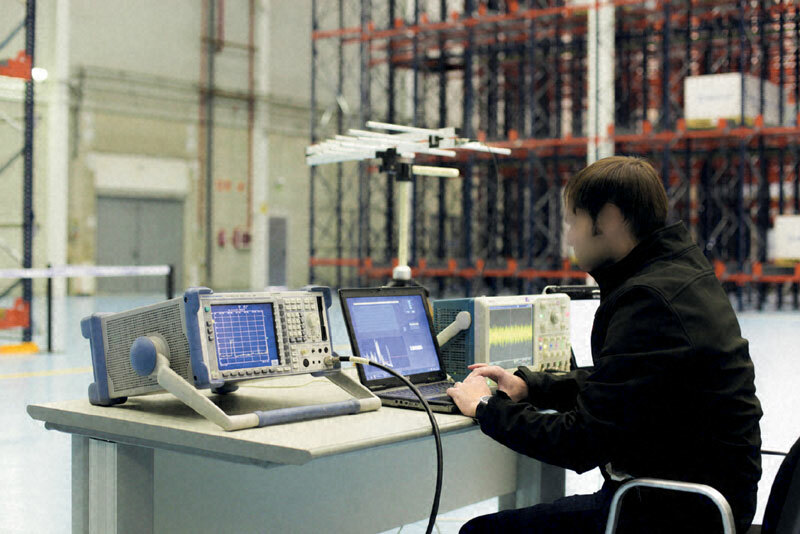 Thereby, products comply with the essential requirements of the European directive on Electromagnetic Compatibility and can be introduced into the European Economic Area. The UPC has assessed the electromagnetic emissions of the Mecalux equipment for both conducted (circulated via cables) and radiated disturbances (spread in the form of electromagnetic waves in the air). To do this, they have applied the trials and measurement procedures set out in international regulations. This guarantees that the equipment does not interfere with other devices or telecommunications systems. Mecalux strongly supports innovation. Therefore, they work continuously with the UPC on various research and training projects, in order to develop new solutions that can be applied within the logistics industry.